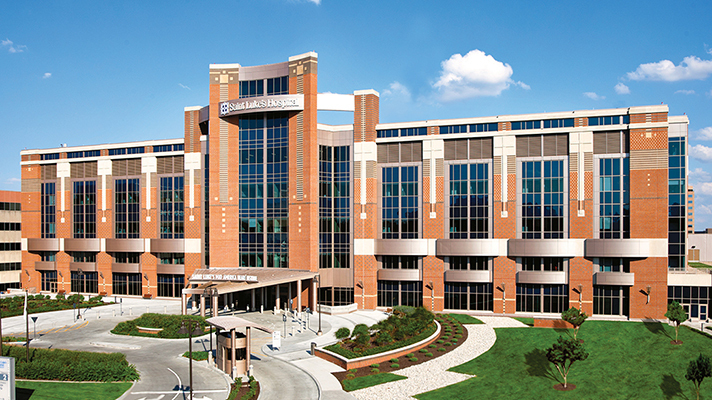 Saint Luke’s Health System is an 11-hospital network based in Kansas City, Missouri, that accepts transfer patients from various rural and community-based hospitals throughout the area. Saint Luke’s noticed increased mortality from sepsis among transfer patients due to this time-sensitive and deadly condition not being diagnosed early enough. With multiple hospitals using multiple EHR technologies sending patients into the Saint Luke’s system, it created an information black hole for these sepsis patients. This inevitably led to missteps of care collaboration and coordination. "Often the transferring hospitals have different EHR systems, which can make continuity of care and communication challenging." Saint Luke’s worked with Redivus Health to implement a sepsis screening program that operated outside the EHR to proactively address this problem. The nurse transfer team began using the Redivus clinical decision support platform in 2017. The goals of the pilot program were to identify sepsis patients at the transferring facilities, start treatment sooner and improve patient outcomes. The clinical decision support platform enabled transfer nurses to identify significantly more (200+) sepsis cases by providing simple intuitive guidance, and it allowed for patients to receive time-critical treatment before being transported to a higher level of care. There is a big market for clinical decision support technology. CDS vendors include Argo Healthcare Solutions, Automated Clinical Guidelines, Epic, Information Builders, National Decision Support Company, Pepid, Talis Clinical and Wolters Kluwer. "We are working to integrate the outcome of executing the questionnaire so the documentation of the result populates our EHR." As the project moves forward, Redivus will work to integrate with the Saint Luke’s EHR so the Redivus detailed documentation of sepsis identification and treatment can seamlessly close the loop of care. *Patient ID: When a patient is identified through the software, it then alerts providers and next steps are suggested so treatment may begin promptly, Lawson added. *CDS takes action: If an emergency department physician calls a transfer nurse at Saint Luke’s, for example, that nurse is told the patient has mental status changes. The transfer nurse then asks the ED physician for vital signs, CBC, or any lab they may have for the patient. As the transfer nurse brings the transfer doctor online, she or he tells the physician the app has triggered for sepsis. "Quick identification of sepsis is a challenge to even the most experienced clinician." In the 6-month pilot program,. CDS helped identify 150 percent more sepsis patients; it decreased mortality by 30 percent, which led to approximately 20 lives saved; and it correctly identified and treated sepsis, increasing billing by $70,000 per month. Sepsis identification and prompt treatment saves lives, she added. She also suggests recruiting a clinical expert or leader who can help with the utilization and the “why” behind the application.